First edition. Quarto. 319 pp; 79 color & 400 b/w illustrations; appendix; notes and references; glossary; bibliography; index. Cloth with dustjacket. VG/VG, a clean, unmarked copy, minor wear at base of spine & bottom corners; unclipped jacket shows light scuffing. The author's copy - his bookplate on front pastedown. 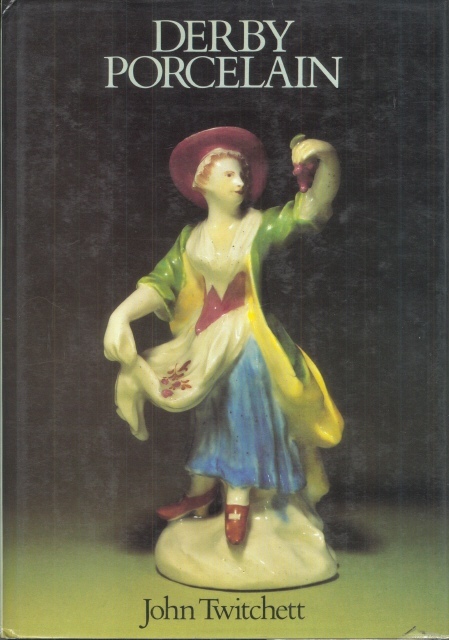 The history of the first century of derby porcelain, from 1748 to 1848.